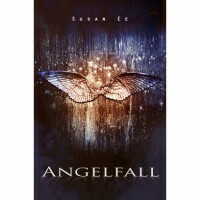 Angelfall (Penryn & the End of Days, #1) - Susan Ee - review - I Am Carina And I Speak For The Books! "Asleep, he looks like a bleeding Prince Charming chained in the dungeon.When I was little, I always thought I'd be Cinderella, but I guess this makes me the wicked witch.But then again, Cinderella didn't live in a post-apocalyptic wold invaded by avenging angels. "You know all those times you tried to give more stars to a book because you found it to be so great and amazing?Well you were wrong.I was wrong.If there is a book, that deserves more stars because it is EPIC all around, its Angelfall.Period.There are about 11 Billion reviews here on GR that will praise this book the way it deserves to be praised. And there's probably nothing more I can add. 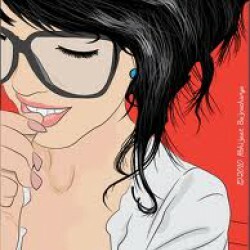 Exept maybe, that Mrs. Susan Ee....you are a Goddess.If you want a book with an amazing new take on Angels. An amazing kickass Heroine. A non stop action packed story with just the slightest romance to balance the mix. Then you MUST read this book.